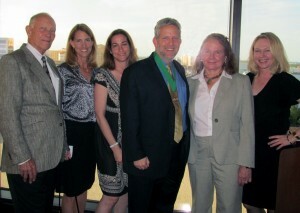 WEST PALM BEACH, FL (April 18, 2012)— Gary S. Lesser, Managing Partner of Lesser, Lesser, Landy & Smith, PLLC (LLL&S), received the University of Miami School of Law Alumni Leadership Award at the Annual Judicial Reception held at the Phillips Point Club in West Palm Beach. 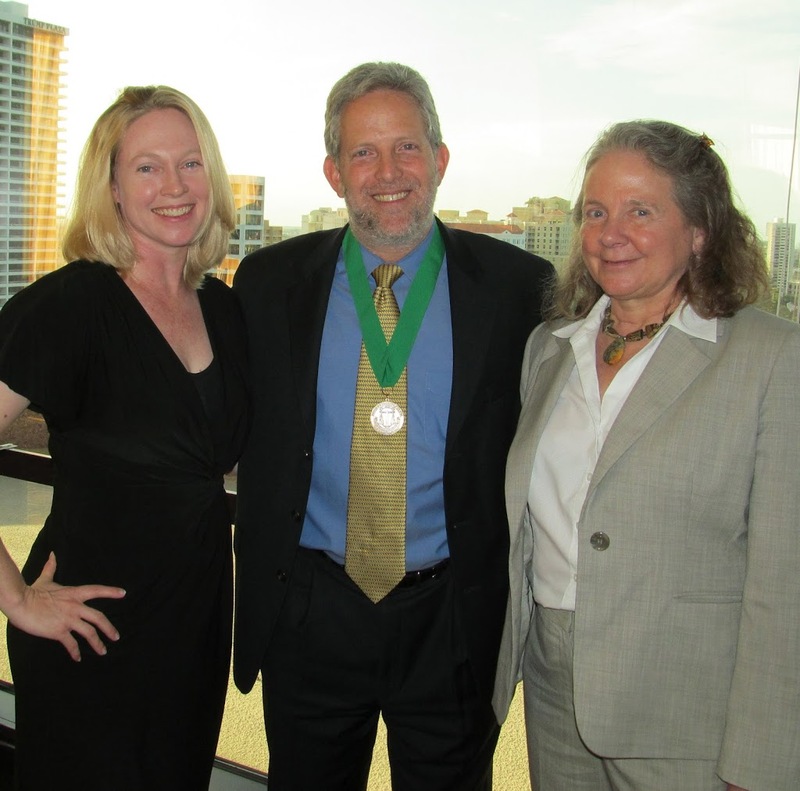 Lesser was presented the coveted award by School of Law Dean and Professor of Law Patricia D. White and Law Alumni Association President Elizabeth B. Honkonen for his legal and business achievements and impressive on-going community involvement. West Palm Beach native Lesser earned his J.D. in 1992 at the UM School of Law where he was a member of the Bar & Gavel Society, and served as Associate Editor of the Yearbook of International Law and Editor-in-Chief of Res Ipsa Loquitur, the law school’s newspaper. He continued to support the university by later serving as Vice President of the UM Law Alumni Association. Under his leadership, the LLL&S law firm focuses on serious personal injury and wrongful death cases, delivering significant verdicts and settlements for its clients. All Firm partners are “AV” rated by Martindale-Hubbell for demonstrating the highest level of legal ability and ethics. 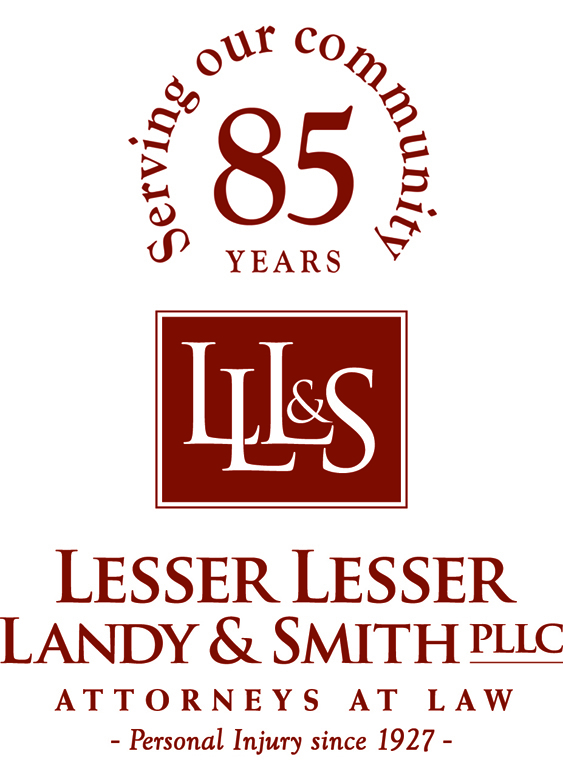 Through Lesser’s stewardship the Firm grew from two attorneys and one assistant when he joined his father Shepard Lesser following his graduation in 1992 at a 2,000-square-foot storefront office location in downtown West Palm Beach, to 11 attorneys and 17 staff operating from a 15,000-square-foot freestanding headquarters it owns on Northpoint Parkway in West Palm Beach. In recognition of his dedication to and leadership role in the legal profession, Lesser was peer-elected in 2011 to serve on the Florida Bar Board of Governors for a two-year term, following several leadership positions that included serving as Chair of the Bar’s Professional Ethics Committee and Advertising Committee. He has served as Chair of the Palm Beach County Bar Association’s Medical Legal Committee and Professional Committee, is an Eagle Patron and a member of the Continuing Legal Education Committee of the Florida Justice Association. Supporting and championing business growth, higher education and healthcare in South Florida, Lesser serves on the Florida Atlantic University Foundation Board and American Cancer Society Board/North County Unit, and is an active member of the Palm Beach County Medical Society, Economic Council of Palm Beach County for which he serves on its membership committee, and serves as a Trustee at the Greater Boca Raton Chamber of Commerce and the Stuart/Martin County Chamber of Commerce. Lesser has been chosen by his peers as a Florida Legal Elite for five consecutive years, earning him the prestigious induction by Florida Trend magazine into the Florida Legal Elite Hall of Fame in 2010 as one of only 56 out of over 90,000 Florida attorneys to receive the honor. He has been consistently named a Florida Super Lawyer in personal injury law (2006-present) based upon peer recognition, professional achievement and independent voting, and limited to 5% of the lawyers per jurisdiction as well as a Top Lawyer by South Florida Legal Guide. He has received several awards, including the Healthy Mothers, Healthy Babies Coalition of Palm Beach County “Supporter of the Year” Award, Stuart/Martin County Chamber of Commerce “Business Person of the Year” Award, Jewish Federation Annual Young Leadership Award and the Israel Unity Award from the State of Israel Bonds. The Firm received the PR News’ (national trade magazine) Corporate Social Responsibility/Philanthropy Award for the Firm’s on-going “Business Builds Community, Community Builds Business” initiative. Inspired by his grandfather’s impassioned legacy of “give back” while at the helm of the Firm, Lesser has stewarded the boutique-size firm to contribute more than $400,000 in donations and sponsorships in the past 18 months to support vital charity and business missions of South Florida, including health, medical research, education, special needs, humanitarian/human rights, veterans, arts and culture, economic development, legal aid organizations and other causes, and provided more than 2,500+ hours of pro bono legal services and community service. This year, LLL&S gave a major gift to the athletics program of Florida Atlantic University that has been commemorated with a concession stand named for the Firm in the new FAU Stadium. It has also dedicated a bench at the entrance to the new Palm Beach County Bar Association building. 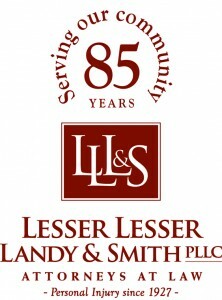 For more information on LLL&S services and its offices in West Palm Beach, Stuart and Boca Raton, call (561) 655-2028 or visit the Firm’s website at www.lesserlawfirm.com.